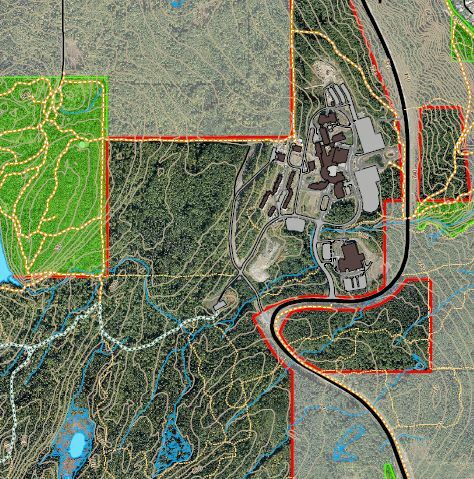 This map project was initiated using a grant awarded to the ALRF by UNBC’s Green Fund, and looks to continually improve the ‘UNBC Forest Lands Map’ originally released in April 2015. It is hoped that this map will provide students, staff, and faculty, and the general public a greater understanding and appreciation of the Forest Lands around the University. To provide accessible tools for teaching, research, recreation, and forest stewardship on UNBC forest lands, in forms that are easily accessed by, and meet the needs of diverse UNBC users. Also – see the additional map features.